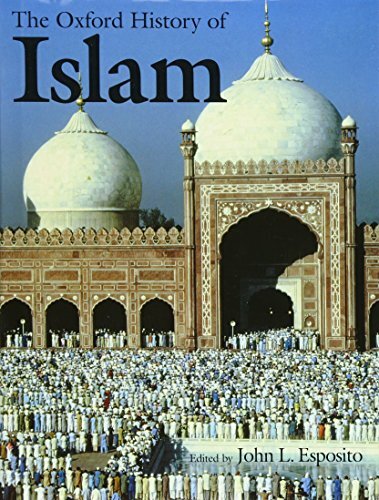 Lavishly illustrated with over 300 pictures, including more than 200 in full color, <em>The Oxford History of Islam</em> offers the most wide-ranging and authoritative account available of the second largest--and fastest growing--religion in the world. <br /> John L. Esposito, Editor-in-Chief of the four-volume <em>Oxford Encyclopedia of the Modern Islamic World</em>, has gathered together sixteen leading scholars, both Muslim and non-Muslim, to examine the origins and historical development of Islam--its faith, community, institutions, sciences, and arts. Beginning in the pre-Islamic Arab world, the chapters range from the story of Muhammad and his Companions, to the development of Islamic religion and culture and the empires that grew from it, to the influence that Islam has on today's world. The book covers a wide array of subjects, casting light on topics such as the historical encounter of Islam and Christianity, the role of Islam in the Mughal and Ottoman empires, the growth of Islam in Southeast Asia, China, and Africa, the political, economic, and religious challenges of European imperialism in the nineteenth and twentieth centuries, and Islamic communities in the modern Western world. In addition, the book offers excellent articles on Islamic religion, art and architecture, and sciences as well as bibliographies. <br /> Events in the contemporary world have led to an explosion of interest and scholarly work on Islam. Written for the general reader but also appealing to specialists, <em>The Oxford History of Islam</em> offers the best of that recent scholarship, presented in a readable style and complemented by a rich variety of illustrations.